He was released by Chinese police after explaining that “it was a Canadian tradition to throw snowballs at statues of famous people.” I have no idea if this story is true, but it would not surprise me as the brilliant and iconoclastic Trudeau had a glib answer for most everything. As readers of Stand For the Troops (“SFTT”) news are aware, we are not satisfied with how the Department of Veterans Affairs (the “VA”) treats Veterans with PTSD and TBI. As reported last week, Maj. Ben Richards cites numerous internal and external studies demonstrating that VA protocols in treating Veterans with PTSD and TBI have not been effective. For the well-being of our Veterans and their loved ones, we can only hope that our well-meaning “snowballs” will ultimately have some effect on breaking through the entrenched bureaucracy at the VA. Sadly, this is unlikely to be the case. 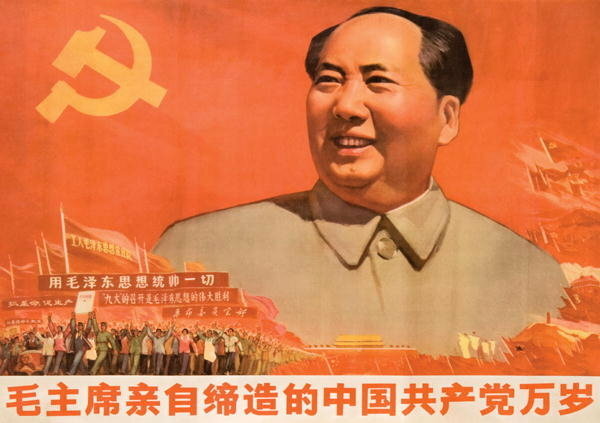 But if hundreds, thousands and tens of thousands of concerned Americans were lobbing snowballs at the VA through their elected officials in D.C., “a thousand flowers might bloom.” I apologize to Chairman Mao for misquoting him. If you listen to Dr. Xavier Cifu’s moronic defense of the VA’s “evidence-based” PTSD therapy programs to a Congressional committee, you get the sense that his “own personal opinion” is far more important than any scientific evidence.
. . . she’s “not concerned about veterans seeking alternative strategies in addition to effective strategies,” as long as the alternative doesn’t replace a method with more evidence behind it. Schnurr says 90 percent of VA centers across the country do offer some sort of alternative treatment for PTSD. And many have been studied through clinical trials — some, like meditation and yoga, with promising results. Schnurr also points out one approach to trauma, once approached with broad skepticism, is now on the VA’s list of approved treatments. EMDR — devised in the late 1980s — uses bilateral eye movement, looking side to side, during cognitive behavioral therapy. Only after about a dozen clinical studies did Schnurr feel comfortable recommending it. “I’m convinced the treatment works; I’m not sure why,” she says. But as long as the treatment is based on rigorous science, she says, that’s evidence enough. Ah, there are those magical words again: “rigorous science.” What do those words actually mean? Could the “observational model” be flawed? At least, Ms. Schnurr has an open mind. Is the Department of Veterans Affairs too Big to Succeed? As we have seen last week, the VA continues to use flawed procedures to treat PTSD and TBI yet insists that the “treatment is based on rigorous science.” Gosh, if the VA’s own internal and external audits demonstrate that standard therapies are not effective in helping Veterans with PTSD and TBI to achieve better outcomes, why not explore other alternatives? Some weeks ago, we analysed the VA under the microscope of Nassim Taleb’s theory of Antifragility. Even a superficial analysis of the VA suggests that the organization is Fragile and, in my opinion, far too big to succeed in its mission. 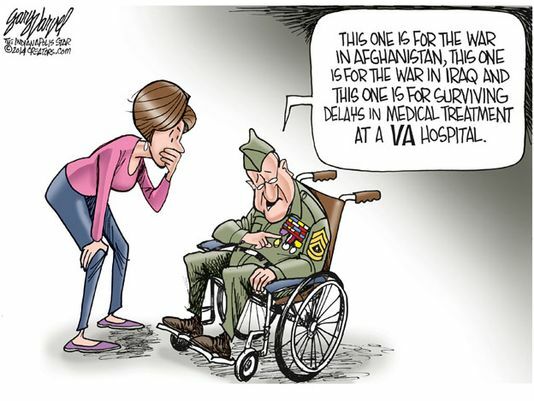 As if on queue, the New York Times asks the question: Did Obama’s Bill Fix Veterans’ Health Care? Still Waiting. When President Obama signed a sweeping $15 billion bill to end delays at Department of Veterans Affairs hospitals two years ago, lawmakers standing with him applauded the legislation as a bold response that would finally break the logjam. Although veterans say they have seen improvement under the bill, it has often fallen short of expectations. Nowhere is the shortfall more clear than in the wait for appointments: Veterans are waiting longer to see doctors than they were two years ago, and more are languishing with extreme waiting times. According to the agency’s most recent data, 526,000 veterans are waiting more than a month for care. And about 88,000 of them are waiting more than three months. What we are seeing, is increasingly discouraging outcomes for Veterans no matter how much money we allocate to “fixing” the problem. In economics, one simply refers to this as “decreasing marginal returns on investment.” This is not to say that some Veterans have not benefited with this new taxpayer largesse, but we should have received far better results if the VA were not so big! So, if you are wondering what to do on this warm summer day, just pick up a few snow balls and gently lob them in the direction of our Congress and Senate in D.C. Facing up to the realities that the VA is failing our Veterans is at least the first step toward helping these brave warriors reclaim their lives.